Temps in excess of the century mark are on of Kristin’s favorite things. For a baby, it’s a little hot. 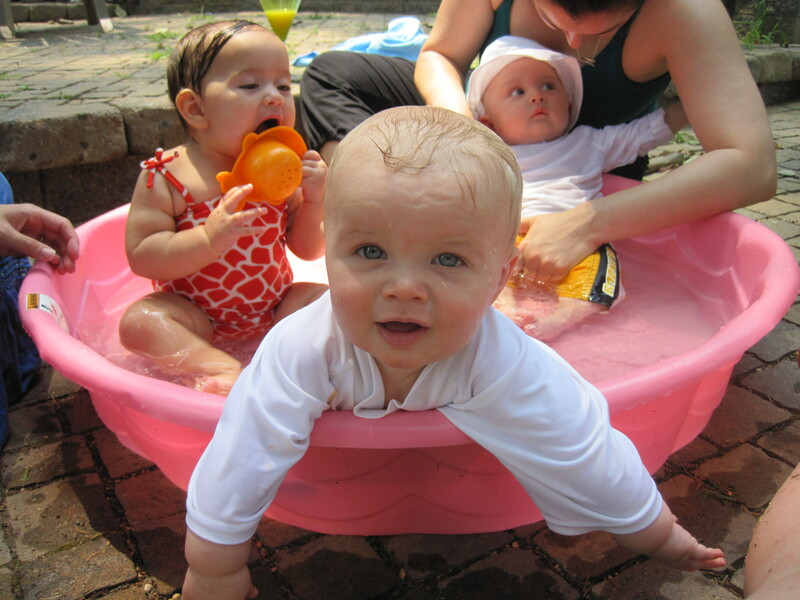 So, Kasen cooled off in the pool with a couple of his friends (June & Mason). They’re adorable.